Genetically Enhanced. 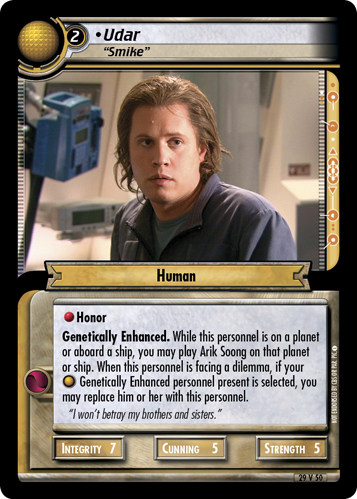 While this personnel is on a planet or aboard a ship, you may play Arik Soong on that planet or ship. 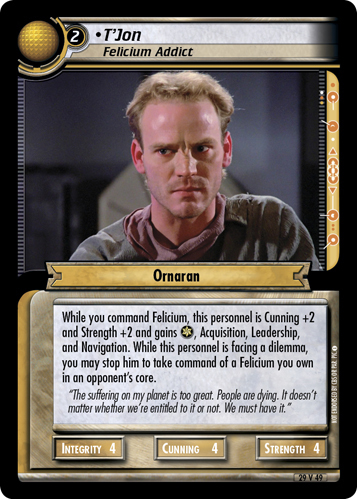 When this personnel is facing a dilemma, if your Genetically Enhanced personnel present is selected, you may replace him or her with this personnel. "I won't betray my brothers and sisters."